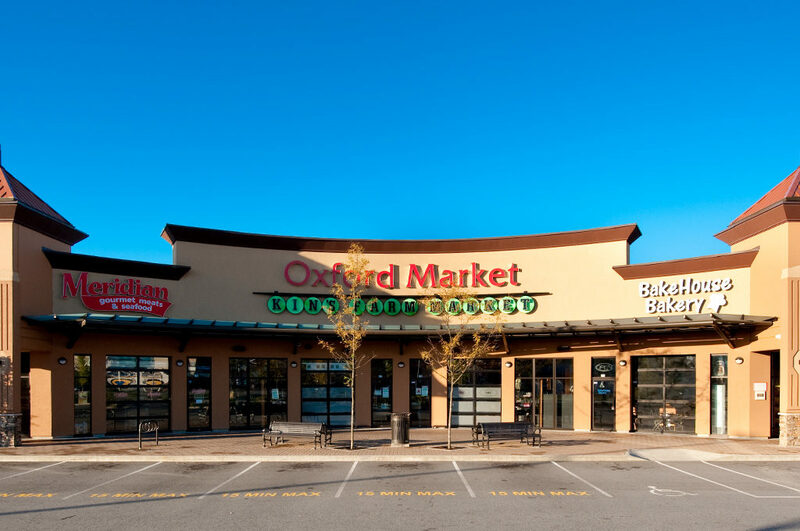 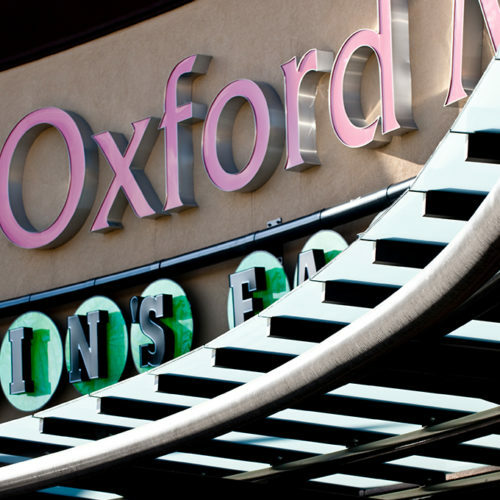 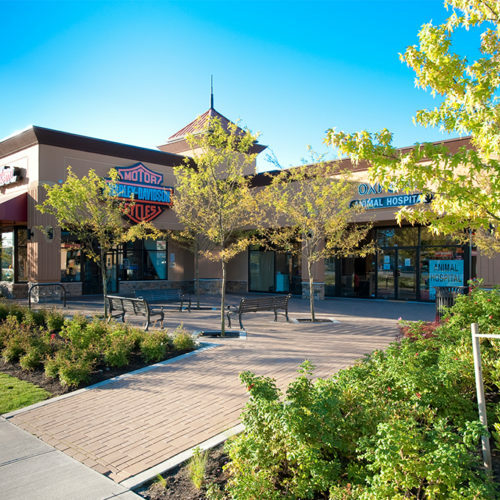 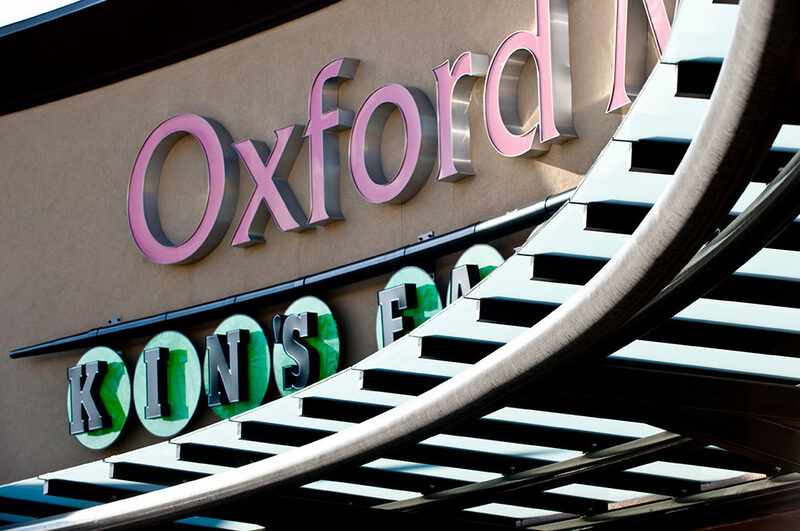 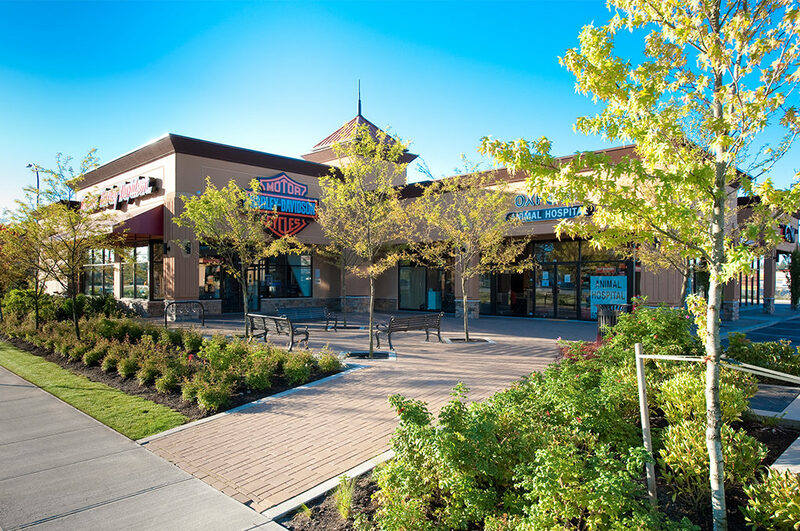 Oxford Market is an upscale neighbourhood commercial centre in Port Coqutlam where retailers enjoy the benefits of quality construction in a high exposure location alongside the Lougheed Highway. 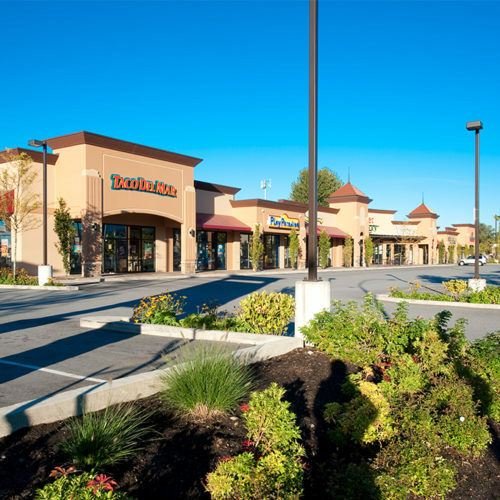 The market is typically home to fourteen tenants with most unit sizes in the range of 1,000 to 1,500 square feet. 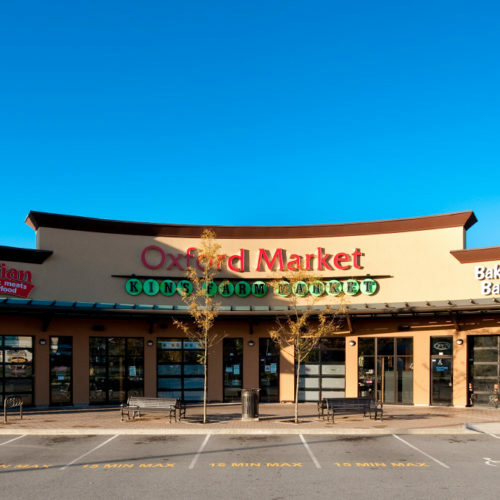 The centre has a strong multi-anchor specialty grocer base comprised of Meridian Meats, Kins Farm Market and Cobs Bread. 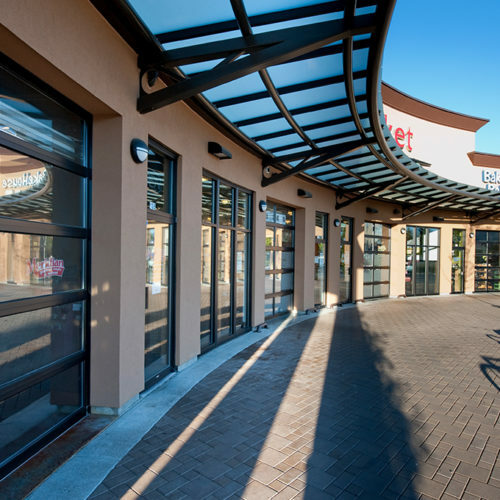 The grocers are complemented by a wide range of local businesses offering a variety of goods, services and eating opportunities. 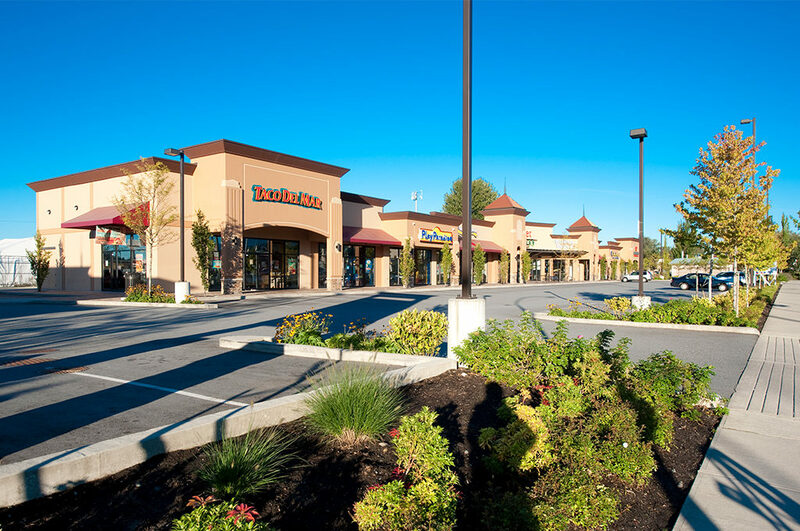 The architecture creates an appealing pedestrian experience through its articulating facades, rich material palette and lush landscaping. 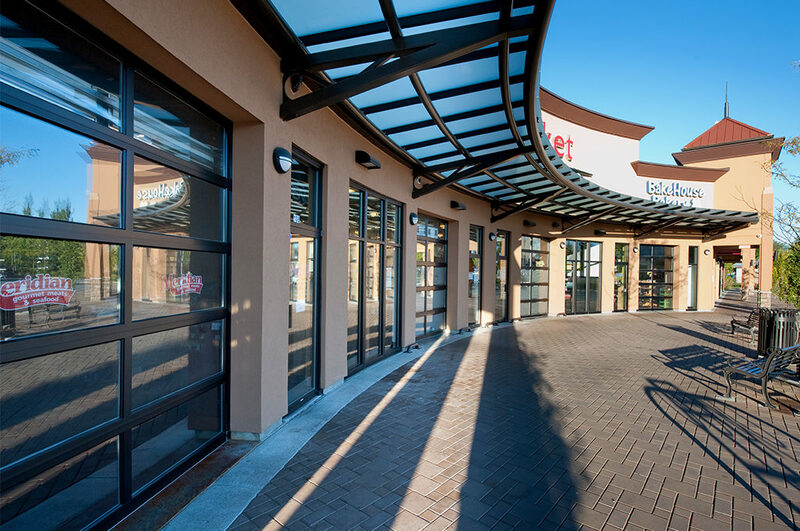 A curved, centrally-located market plaza with fronting overhead doors offers opportunities for the specialty grocers to spill out into the public realm, creating a true market experience for patrons.